LG is just one of the very few manufacturers who actually listened to what the consumers actually wanted in a high-end smartphone; microSD slot and a removable battery. Nowadays, it’s very rare to find both these features being available simultaneously. Thanks to LG with the LG G5, they have listened to the wishes and have presented the lego type modular design smartphone. The options for prolonging the functionality and fixing a high-end smartphone took an unexpected degree of flexibility by putting a mark for other players in the market. Thanks to iFixit for providing such detailed review and according to them, with just a basic skill, the LG G5 can be dismantled to its last piece starting with the removable of the battery which is fixed into a module with an USB port, antennas and an external loudspeaker. 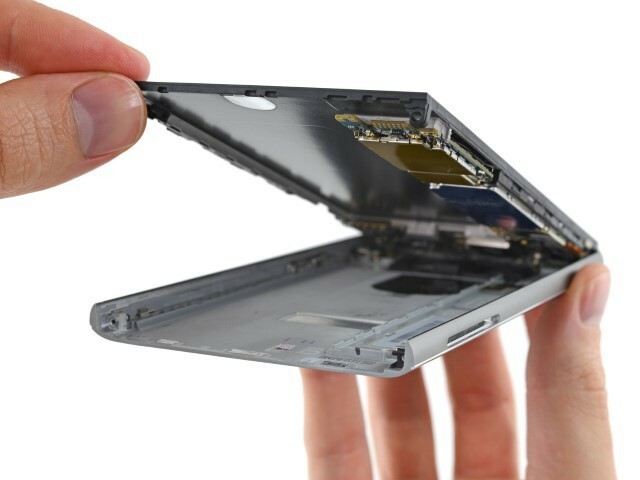 With the battery extracted, there’s only two screws and a clamp to open it up which separates the display from the unibody case made of aluminum called the LM201. The camera, screen, motherboard and everything else can be easily removed and be replaced without any difficulty. Have a look at the video below to have a better understanding of dismantling the product! LG G5 scores a 8 out of 10 points for the tear and repair game from iFixit with its rival, the Galaxy S7 Edge getting only 3 points! Will Android users move to iOS due to iPhone SE? Nexus 7 (2013): How well has it aged?